Cylance Pro Cycling continues to partner with industry leader, Cannondale Bicycles, to further push the limits of technology. Cylance Pro Cycling’s UCI Continental men’s team will race the 2017 season completely on the Cannondale SuperSix Evo Hi Mod Disc Framesets. The team will be the only UCI Continental team racing exclusively on disc brake bikes. Known for its legendary lightweight frames, the Cannondale SuperSix Evo Hi Mod Disc Frameset remains agile and comfortable with incredible handling control. The SRAM Mechanical RED hydraulic disc groupset coupled to Vision Metron 55 tubular wheelset with Vittoria Corsa G+ tubular 25mm turn the SuperSix Evo Hi Mod Disc the perfect bike for tackling all conditions and events. At training camp in Big Bear Lake, the riders truly tested the equipment as they railed mountain descents unabashedly. “At camp, the guys couldn’t stop commenting about the ease and stopping power of the disc brakes. One of the days we got caught in the rain, and still had quite a bit of descending to go. The guys were descending so fast and confidently. Now none of the riders ever want to go back to another bike.” says Hilton Clarke, Director Sportif. “The Evo Disc is the best bike I have ever ridden” exclaims former USA National Champion, Eric Marcotte. Marcotte, a veteran rider known for his incredible ability to push his bike to the limits, acknowledges the advantages he will have with the SuperSix Evo Hi Mod Disc. 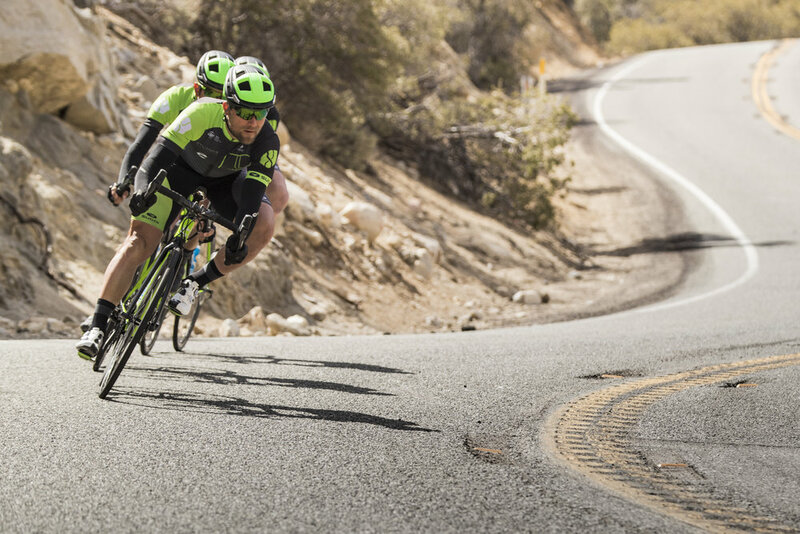 Cylance Pro Cycling’s sponsors such as Cannondale, continue to challenge the industry with cutting edge technology, and the team is proud to continue to pursue increased innovation and performance through the partnership. The athletes are excited to showcase the SuperSix Evo Hi Mod Disc at all the races and events this year. #bringthegreen with the team to #slowfastgofast with Cannondale SuperSix Evo Hi Mod Disc!